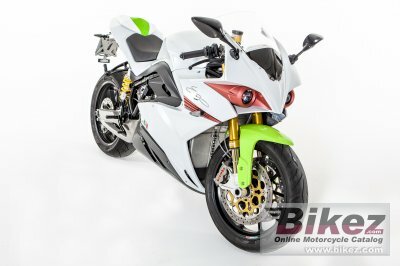 2015 eCRP Energica Ego 45. Picture credits - eCRP. Submit more pictures. It�s available, upon request, an exclusive range of customizations to make your Energica Ego45 even more exclusive. Read further on Special Customization. Energica Ego45, Tailor-made for you. Comments: Italian brand. Carbon fibre fairings. Small windshield. 11.7 kWh battery. Range 150-190 km. A Vehicle Control Unit implementing a multi-map adaptive energy and power management algorithm manages the vehicle. During drive, system carefully monitors and adjusts 100 times per second the motor�s power, starting from; throttle command; chosen engine map; battery status and speed. System also handles regenerative engine braking, interfacing with the ABS unit. Ask questions Join the 15 eCRP Energica Ego 45 discussion group or the general eCRP discussion group. Bikez.com has a discussion group for every motorcycle. Here you may find answers to common questions about the model. If you do not find what you are looking for, you can ask questions. Try out the 2015 eCRP Energica Ego 45 discussion forum. You can sign up for e-mail notifications when other users answer you. If you have information about any technical issue related to this motorcycle, please leave a comment for other riders.